An Input Switch in the loungeroom is programmed with the C-Bus Group Address ‘Loungeroom Main Lights’. When the switch is pressed, it issues an ON Command to the ‘Loungeroom Main Lights’ C-Bus Group Address. This Group Address command from the Input Switch is sent onto the C-Bus Network for all units throughout the network. Only those C-Bus Units programmed to respond to the ‘Loungeroom Main Lights’ Group Address command react– other units will ignore commands not intended for them. This simple example only gives you an overview of the power and control flexibility of the C-Bus system. As you can see from this simplified diagram, every device requires a C-Bus connection. Devices that control mains power also need a connection to the mains, of course. 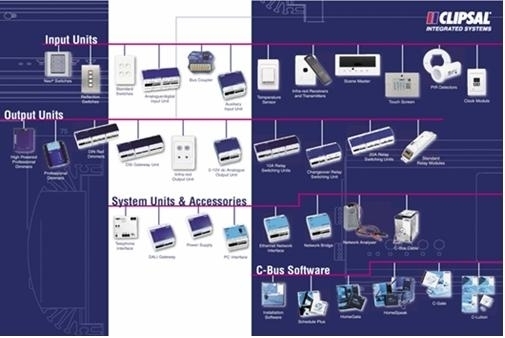 The mains wiring and C-Bus wiring do not need to be adjacent, and the mains can be connected to different phases, or even completely separate distribution systems. on C-Bus output units or physical. 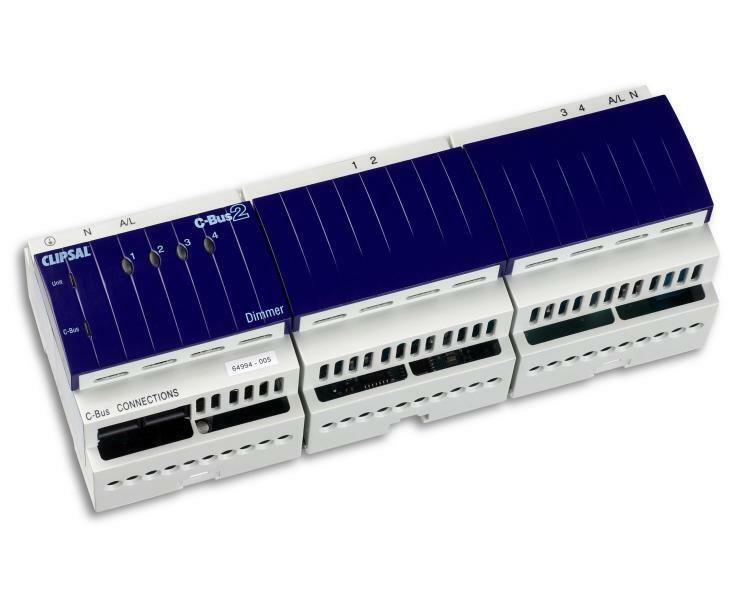 • All C-Bus output units consist of electronic components that may be damaged by surges, short circuits and over-voltages. All equipment should have over-current protection relevant to installed equipment and cable size, and surge protection fitted.